How would you rate your experience with La Santisima Gourmet Tacos ? 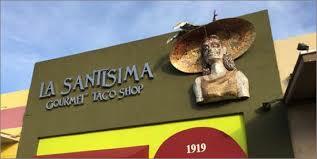 La Santisima Gourmet Taco Shop was founded in 2010 by Felipe Guzman and his mother Guadalupe in Phoenix, Arizona. Originally called La Condessa, the company changed names a few years after opening. 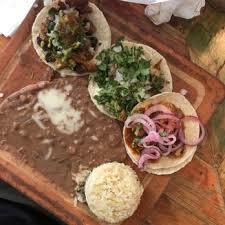 Guzman has stated that anyone could open a taco stand, which is why he changed to name to “gourmet taco shop” because his tacos and other Mexican food is anything but ordinary. Steering away from the typical Tex-Mex style of food, Guzman’s food is so popular that they opened a second restaurant a short 5 years later. While some restaurants are content to serve you fresh salsa, Guzman offers a salsa bar, where clients can pick and choose from a dozen or more different types of salsa. The restaurant frequently makes the local Phoenix papers and new stations “best of ” list, including best salsas, best horchata, best tacos, and best service. In March 2018, Guzman opened a new restaurant called La Marquesa, which will feature both goat and beef birria and lots of tequila for margaritas. Company headquarters are located in Flagstaff, Arizona. Question 1: What is the phone number for La Santisima Gourmet Tacos? 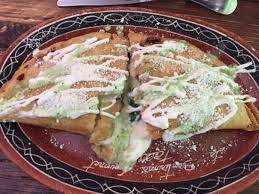 Answer 1: The phone number for La Santisima Gourmet Tacos is (928) 779-6432. Question 2: Who is the CEO of La Santisima Gourmet Tacos? Answer 2: The CEO of La Santisima Gourmet Tacos is Felipe Guzman. 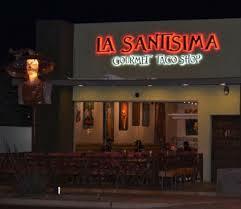 Question 3: Who founded La Santisima Gourmet Tacos? Answer 3: La Santisima Gourmet Tacos was founded by Guadalupe & Felipe Guzman in 2010. Want to make sure La Santisima Gourmet Tacos sees your comment or complaint?